The cost of electricity hinges on several things: availability; the price for power plant fuels and materials such as poles, wire and equipment; and the amount of power consumers demand. Add federal rulemaking to the list. Perhaps the most pressing challenge facing electric utilities involves U.S. Environmental Protection Agency (EPA) regulation of carbon dioxide and other greenhouse gases as pollutants under the federal Clean Air Act. On January 2, EPA began—on a case-by-case basis—restricting the amount of greenhouse gases emitted by fossil fuel-burning power plants and other stationary industrial sources, such as factories, refineries and cement kilns. Overall, electric utilities rank first—just ahead of cars and trucks—in carbon dioxide emissions intensity, so the new EPA rules will significantly impact electricity production. Fossil fuels, such as coal and natural gas, account for about 70 percent of the electricity generated nationally. This number is much lower in the Northwest—where hydropower is the primary source of electricity for public utilities—but could increase as new generation sources are needed. The result will be higher electric bills. 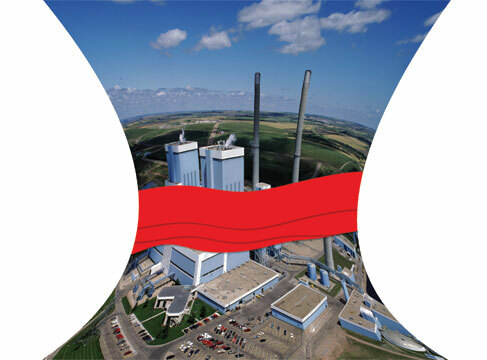 The only other baseload generation sources that can meet America’s demand for safe, reliable and affordable electricity are natural gas, which is priced on a volatile commodities market and also has carbon dioxide emissions to contend with, and nuclear power, which requires a long lead time for construction. “Electric co-ops are urging Congress and the White House to approve a two-year moratorium on EPA regulation of carbon dioxide greenhouse gases—a delay giving lawmakers the opportunity to fashion climate change legislation that protects consumers and keeps electric bills affordable,” English said. A series of events led EPA to regulate carbon dioxide and greenhouse gases, but the course was set when a cap-and-trade bill passed by the U.S. House of Representatives in June 2009 died for lack of U.S. Senate action. Unlike problems related to smog and acid rain, no commercially tested solution exists when it comes to removing carbon dioxide emissions from power plants. To industry experts, EPA’s actions seem like déjà vu. In 1978, Congress passed the Powerplant and Industrial Fuel Use Act, blocking the use of natural gas to generate electricity—a policy that stood until 1987. Co-ops added 15,600 megawatts of coal-based summer capacity during the natural gas ban. The cost of upgrading or shuttering coal plants built in the 1970s, 1980s and before will hit consumers. Clean Air Transport Rule. Released in 2010, it targets 180 coal-fired power plants across 31 eastern states and the District of Columbia. The regulation enables “downwind” areas whose air quality is compromised by power plants to their west to meet federal standards. By 2014, EPA claims that rule—combined with other state and federal measures—will reduce power plant sulfur dioxide emissions 71 percent and nitrogen oxides emissions 52 percent from 2005 levels. The cost to utilities: $2.8 billion a year. It requires plants to install new pollution-control technology, activate existing pollution controls or shut down. A second-round version under consideration could impose even tighter standards. Cooling water intake requirements. Power plants use water from lakes or rivers to cool generating equipment. The federal Clean Water Act sets standards for cooling structures, requiring plant operators to use “best available technology” to protect the environment. In 2010, EPA launched a cost-benefit analysis of imposing stricter regulations. The North American Electric Reliability Corp., the nation’s power grid watchdog, says if strictly enforced, one-third of U.S. electricity capacity may need to be retired. Coal ash debate. To ensure the safe disposal of fly ash and other residues produced by coal-fired power plants, EPA is considering designating the 130 million tons of coal combustion byproducts as hazardous waste. That could cost billions and severely hamper recycling. Currently, one-third of fly ash is used as a cement replacement and one-fourth of scrubber sludge is converted into synthetic gypsum for wallboards. For every ton of cement replaced by fly ash, a ton of greenhouse gas emissions is avoided. Perry Stambaugh writes on consumer and cooperative affairs for NRECA, the Arlington, Virginia-based service arm of the nation’s 900-plus consumer-owned electric cooperatives. Megan McKoy-Noe contributed to this story.